North Korean leader lands in Singapore ahead of historic meeting with Trump. 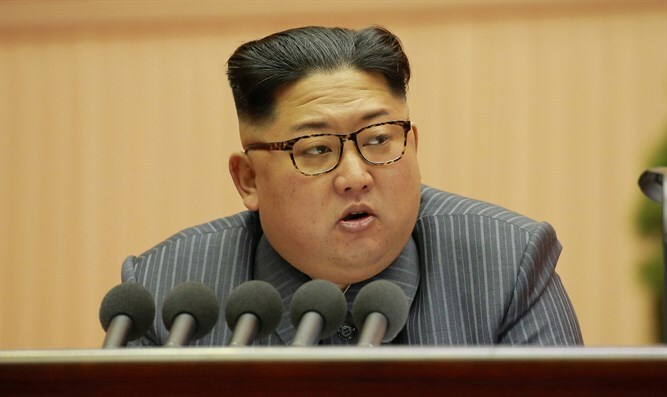 North Korean leader Kim Jong Un landed in Singapore on Sunday ahead of a historic summit with US President Donald Trump, Reuters reported. Following his longest trip overseas as head of North Korea, Kim arrived at Singapore’s Changi Airport, where he was greeted by Singapore’s foreign minister, Vivian Balakrishnan. The US delegation, which includes Secretary of State Mike Pompeo, National Security Adviser John Bolton, White House Chief of Staff John Kelly and White House Press Secretary Sarah Sanders, is set to arrive in Singapore on Sunday evening. The upcoming meeting between Trump and Kim marks the first time leaders of the US and North Korea will have met. Speaking about the highly-anticipated meeting with Kim at the G7 summit on Saturday, Trump emphasized that the goal was North Korean denuclearization, and said that the meeting was a “one-time shot” for Kim. "We really think that North Korea will be a tremendous place in a very short period of time," Trump said. While Trump said he was “confident” and “positive” about the meeting, he also admitted that there's "a good chance it won't work out." "I think within the first minute, I’ll know."